Firstly, it’s a welcome initiative by Scotland’s Tony Scott aka Edit Select to unearth a famed techno classic “The Wipe” by Teste, originally out on Probe Records USA in 1992. Even though “The Wipe” and especially the “5 a.m. Synaptic” mix never really collected the dust, it might have been a track rather cherished by those remembering the days back then. 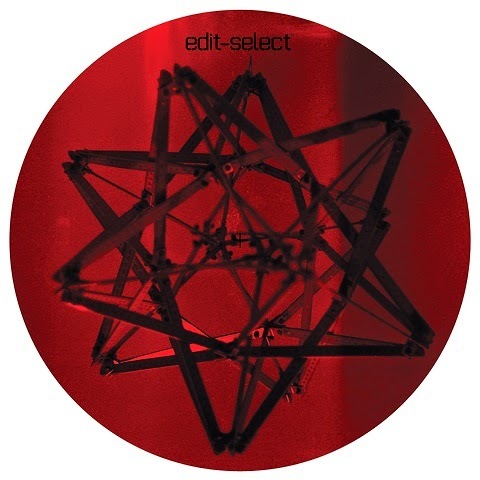 For the new round, Scott had selected and edited the original for his own DJ sets and after contacting Dave Foster and Thomas S. Browning from Teste they decided to issue the edit. The original is immediately recognizable, only the BPM rate has been cut back to comply with the not-over-140-BPM syndrome of today’s techno. Furnished with traces of dub, synth abrasions and deep bass line recalling Beltram’s “Energy Flash”, the track does not offer anything unexpected, leaving the oldie the preferred choice. New material is found on the flip: A collab of Edit Select and Teste, “Ascend” is a striking name for the track where arps spiral upwards true to the psy-trance traditions. Definitely not dark techno but a cheerful piece, sounding both beautiful and stimulating, thus a real bonus to the edit. The revival is not limited to that because a remix package has been announced, featuring real techno warhorses like Rrose, Function, Luke Slater, Dino Sabatini, Terence Fixmer, Lucy, Claudio PRC, Mike Parker and Shifted.